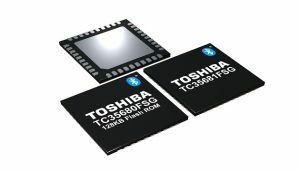 Toshiba America Electronic Components, a committed technology leader, announced that it has added two new devices to its lineup of ICs that are compliant with the Bluetooth low energy standard. The new TC35680FSG (featuring built-in flash memory) and TC35681FSG are well-suited to applications requiring long-range communication, including beacon tags, IoT devices and industrial equipment. Sample shipments will begin later this month. 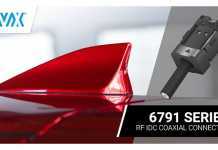 The new communication ICs support the full spectrum of data rates required for the high-speed features – 2M PHY and Coded PHY (500kbps and 125kbps) – found in the Bluetooth 5.0 standard. In addition, the new devices deliver an industry-leading receiver sensitivity level of -105dBm (at125kbps ) and a built-in high efficiency power amplifier in the transmission block that provides up to +8 dBm transmission power. Bluetooth technology continues to evolve to meet wireless connectivity needs, and recent enhancements to the standard have been designed to increase Bluetooth’s functionality with the Internet of Things (IoT). By adding Bluetooth 5.0-compliant ICs to its extensive lineup, Toshiba helps companies integrate Bluetooth low energy products into IoT devices and addresses the growing demand for high-throughput, long-range communications. 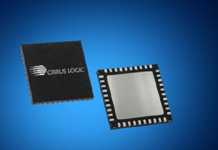 Based on an Arm Cortex-M0 processor, the new ICs incorporate a 256KB Mask ROM to support the Bluetooth baseband process, and 144KB of RAM for processing Bluetooth baseband, stack and data. Toshiba’s TC35680FSG and TC35681FSG also feature 18-port GPIOs as interfaces, which can be set to 2 channels each for SPIs, I2C, and UART. 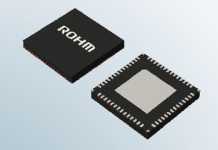 This allows for the structuring of systems that connect to various peripheral devices. These GPIOs can be set for a wakeup function, 4-channel PWM, 5-channel AD converter interfaces, an external amplifier control interface for long-range communication, and more. The TC35680FSG includes 128KB of flash memory for storing user programs and various data in stand-alone operations, making it well-suited to a wide range of applications and removing the need for external non-volatile memory. This also lowers the part count, which reduces both the cost and mounting area.